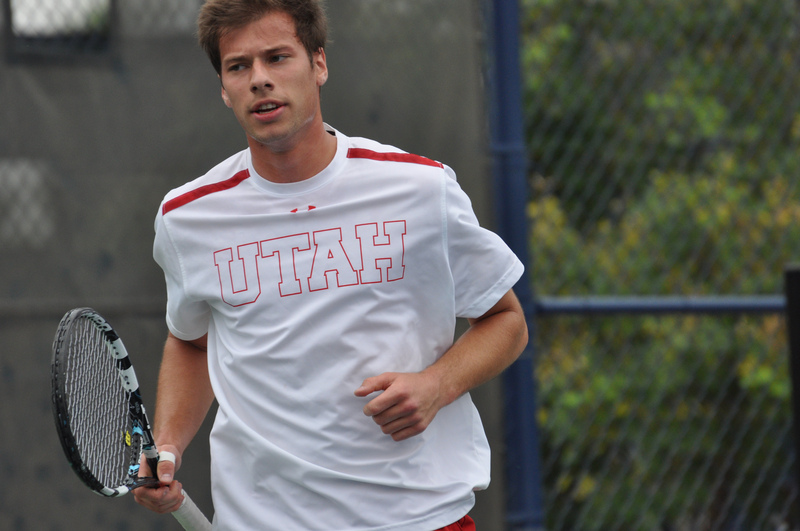 Senior Ben Tasevac became the first Ute in program history to earn First Team All-Academic Pac-12 status. The Skyline High School graduate amassed a 3.63 GPA in exercise sports science and was honored for the second year in a row. Tasevac was named Most Improved Senior of the Year by the Intercollegiate Tennis Association (ITA) two weeks ago and Pac-12 Player of the week on Feb. 25. He finished his collegiate career with 48 singles wins and 25 doubles victories. Sophomores Matt Cowley and Cedric Willems were also honorably mentioned bringing Utah’s total of recognized student-athletes to eight in the last three years. This entry was posted in Awards, PAC-12 / NCAA News and tagged Academic Awards, Alejandro Medinilla, All-Academic Team, Ben Tasevac, Cedric Willems, Dmytro Mamedov, Matt Cowley, Pac-12, Slim Hamza. Bookmark the permalink.